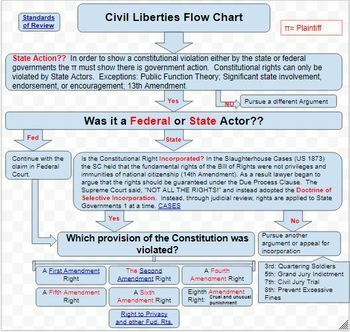 Description: Included you will find flow Charts for teaching Civil Liberties in AP US Government or other advanced course. 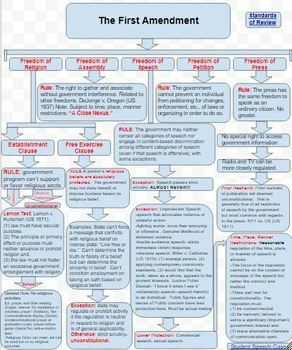 Civil Liberties Chart: This is the base chart. It cover the State Actor Doctrine and Incorporation. It then links to the other charts.